FONTANA, CA—Goodman Group says its wholly owned North American subsidiary, Goodman Birtcher, has secured a lease with Walmart for 639,473 square feet at Goodman Logistics Center here. Goodman Logistics Center is less than one mile from the I-10, and nine miles from Ontario International Airport. This lease adds to Goodman Birtcher’s growing customer base in North America including Georgia Pacific, Amazon, Safeway, CTSI Logistics and Volkswagen Group. Goodman Logistics Center Fontana benefits from excellent infrastructure connections, located less than one mile from the I-10, nine miles from Ontario International Airport, four miles from FedEx’s international parcel hub, and approximately 60 miles from the Ports of Los Angeles / Long Beach. Walmart was to take occupancy August 1 of the recently constructed, class A logistics facility. Lee and Associates represented Goodman and Walmart was advised by JLL on the lease transaction. 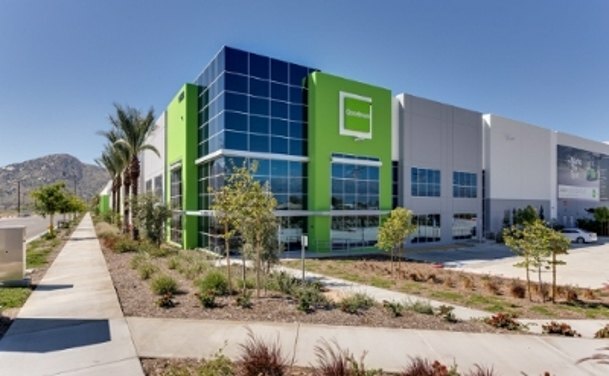 Goodman Logistics Center Fontana is one of a number of projects in Goodman Birtcher’s $2.3 billion identified US development pipeline, which will provide 17.7 million square feet of class A logistics space. Goodman Birtcher continues to execute its US strategy, which is focused on growing its portfolio organically, targeting selective development and value add opportunities in the key logistics and industrial markets of Inland Empire, Greater Los Angeles, Northern New Jersey and Central Pennsylvania. Over the last 12 months, Goodman Birtcher has completed 3.3 million square feet of class A development product in the Inland Empire West and Greater Los Angeles logistics markets, with a further 2.6 million square feet currently under construction. This is consistent with Goodman’s ongoing commitment to servicing the needs of its global customer base through the development of modern, well-located properties for long-term ownership. Goodman Birtcher is a wholly owned US subsidiary of Goodman Group, established in June 2012 and includes the former business of Birtcher Development and Investments. It is located in Irvine with a regional office in Allentown, PA.